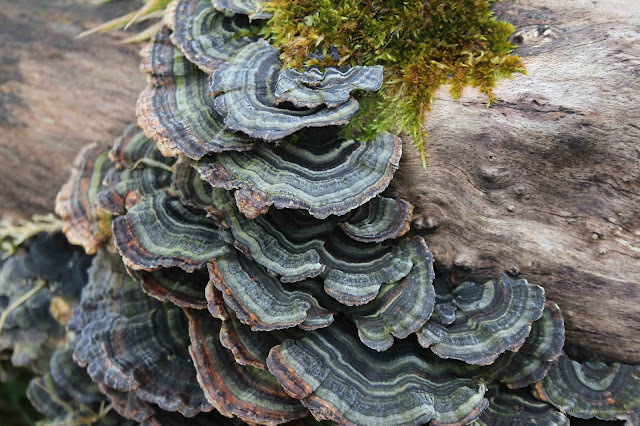 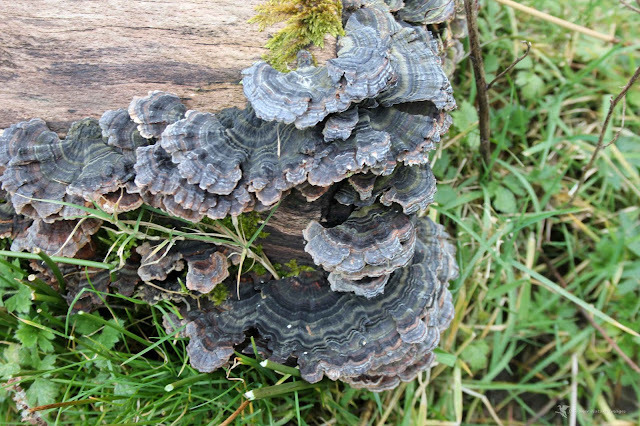 Trametes versicolor, Turkeytail fungus (Meaning 'of several colours', versicolor reliably describes this mushroom found in different colors) can be found all through the year, but it is most obvious in the winter months when deciduous trees are bare. 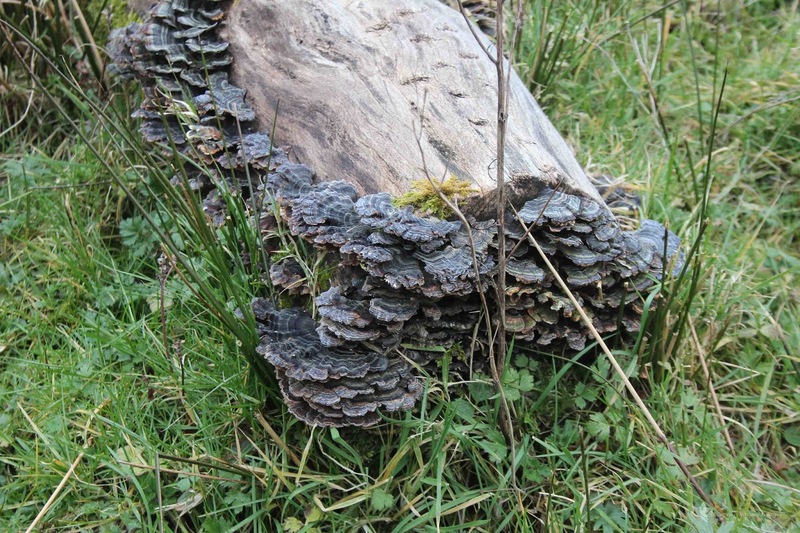 This very variable fungus grows mainly on dead hardwood, including stumps and standing dead trees as well as fallen branches. These annual bracket fungi can be found all the year round, but they are at their best in autumn and winter, which is when they release their spores.